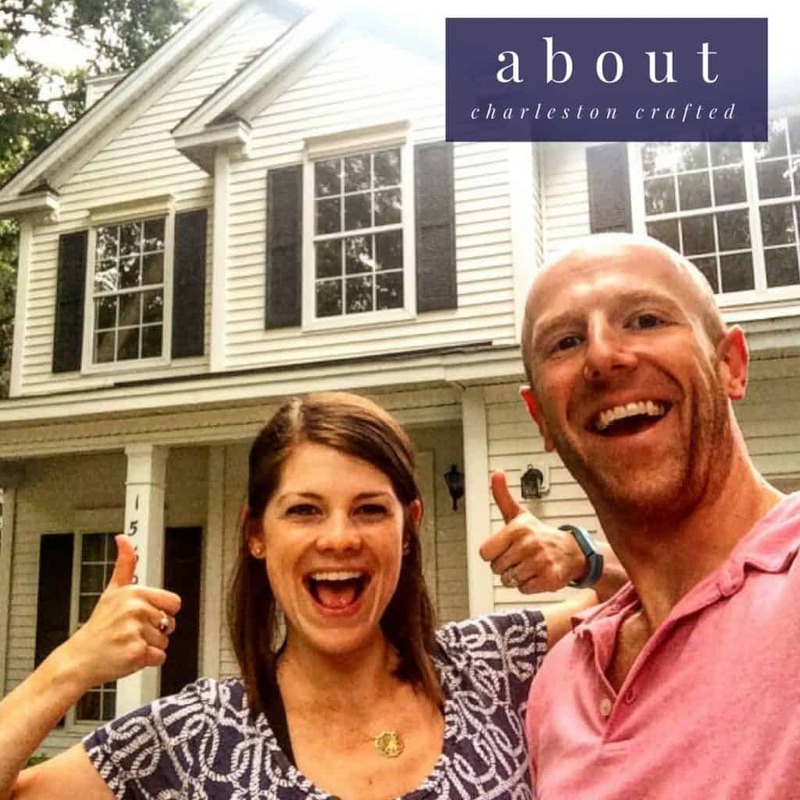 We’ve been spending the last year and a half working on the inside of our house and our backyard and never really did anything to the front of our house aside from this modern address sign. 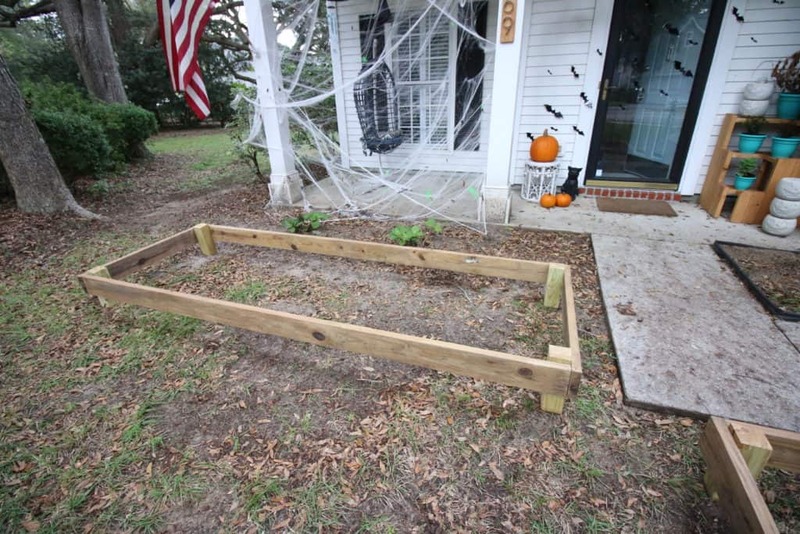 We finally go around to it when we recently built a DIY raised bed flower garden to go in front of our house. 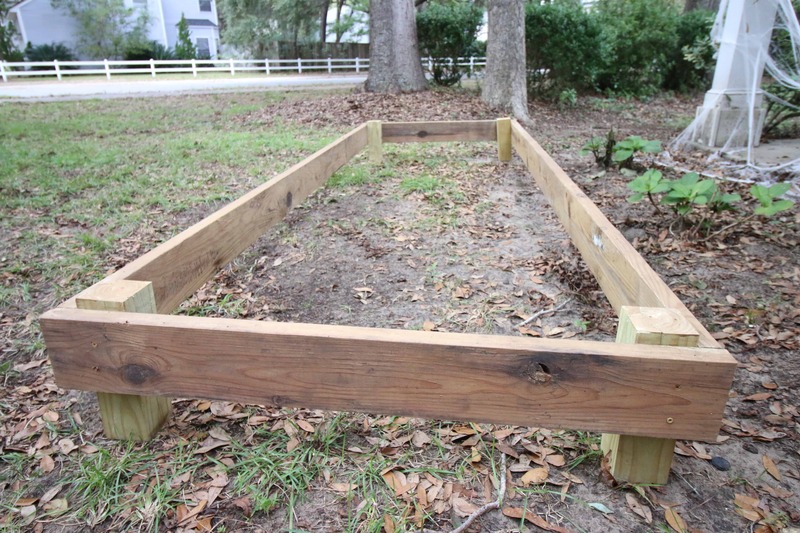 We did something pretty similar in the backyard when we built a raised bed vegetable garden. This time, we found 2x6s on the side of the road following Hurricane Irma that had broken off people’s docks. People were stacking them along the side of the road and we grabbed them. They might not have worked for rebuilding a dock, but this type of find is perfect for a raised bed garden or other outdoor project. My advice is that if you ever see perfectly good wood on the side of the road, grab it. We used some short fence post cut offs that we have been hoarding (that we also found on the side of the road) as corners and screwed the 2x6s into them to make a rectangle. We did a larger and smaller one. 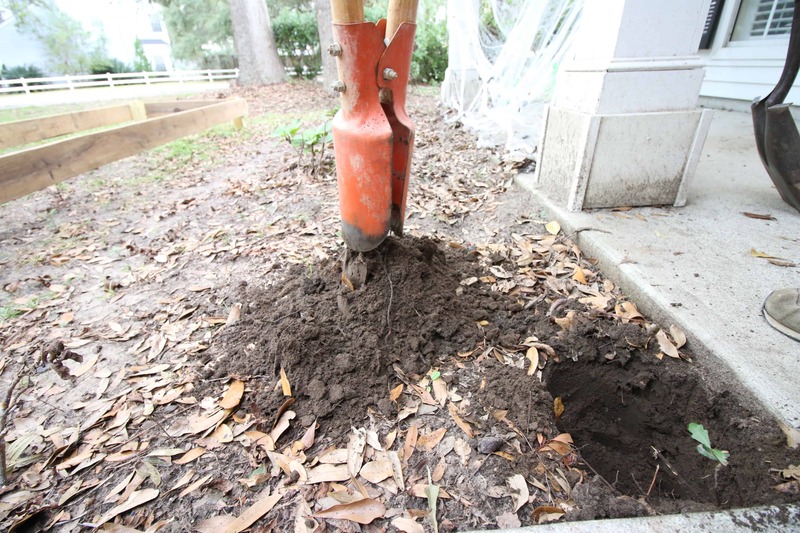 Then we marked their places in the ground and used a post hole digger to dig out some holes and then dropped them in place. 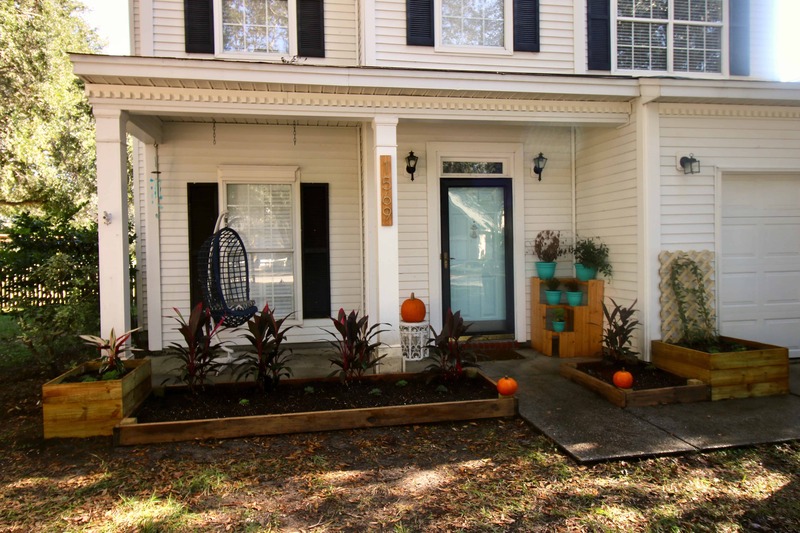 We used a bunch of bags of soil from Lowe’s to fill up the area and planted a variety of plants, including Hawaiian Ti, ornamental cabbage and ranunculus. The ti plans are gorgeous with their neon pink color, the cabbage will grow to give some middle height and eventually the ranunculus bulbs will bloom into gorgeous flowers. 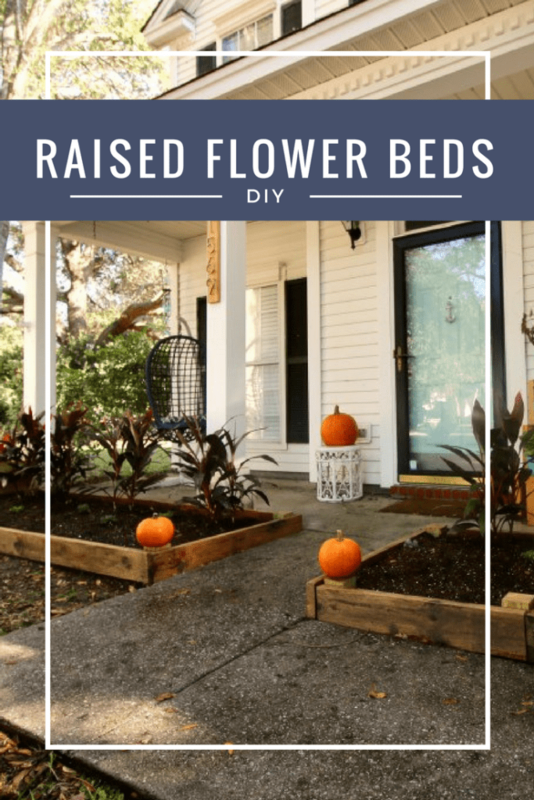 A DIY raised bed flower garden is extremely easy to build and adds a wonderful element of depth and beauty to your yard. 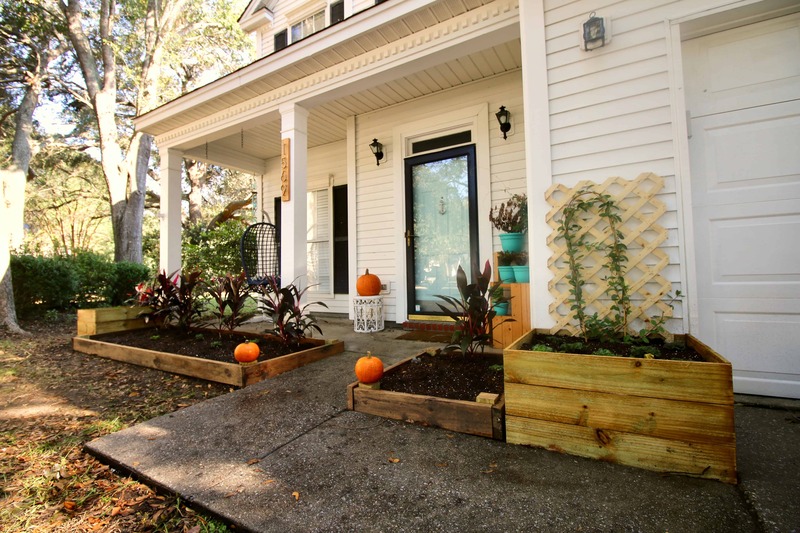 We love our different gardens and built another type to go right next to these on each side of the garage. You can see a little sneak peek in the final photos. Stay tuned and you’ll find out!